It is one thing to keep the interior of your homes clean, and entirely a different business to make sure that your yard is maintained in an efficient way. Most debris collected in the yard is unavoidable, and cleaning it every day is not possible. But is your yard so full of trash and junk that the green is almost non-existent? We at Mesa Junk Removal will help your yard get its greenery back! What to do with the unwanted yard debris? A lot of the unwanted materials lying in the yard comprises of dry leaves and garbage that cannot be avoided. The leaves falling from branches, the shrub clippings or the twigs that tend to accumulate in corners of the yard are a daily hassle. We understand that it is a tiresome process to make sure that all these debris are thrown out on a daily basis. 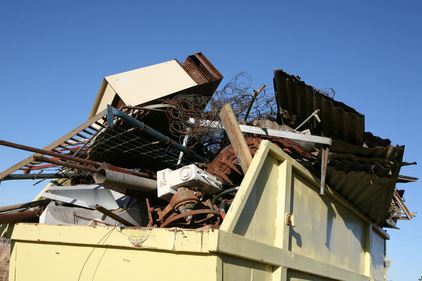 We at Mesa Junk Removal help you out with the collection of these wastes and dispose of it for you in the proper manner. Are you planning to host a barbecue dinner in a day's time? Has your ten-year-old been asking for a picnic lunch for ages and you just can't put it off because of a dirty yard anymore? Don't you worry! Super-fast cleaning services are what we believe in! No matter how short your notice, we make sure that our employees are there at the soonest possible time in order to get the job done. Your yard is just a phone call away from being spotless green. The men we send in for the work will make sure that they give you the quality cleaning service that you expect and our garbage vans are equipped with the proper dimensions and facilities required to transport and dump the debris at the allocated places. Just visit our online site and submit the form to get an accurate quote for Yard Debris Removal or any other kind of service that you require. You can also call us at 480-771-1044 to get more details about our work.